Click on the paint bucket that corresponds to the background color as many times as you can before it changes. 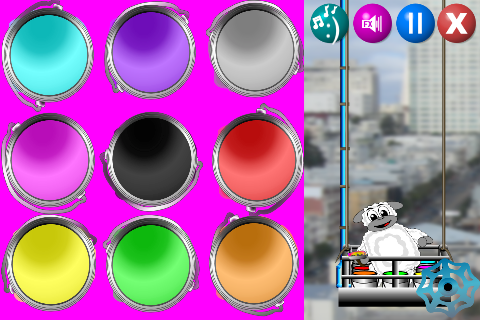 The colors change faster as the level gets higher. Click on the gear in the lower right hand corner to clean up the paint spills. When Looky Lamb gets all the way to the top, you win!